Hello! 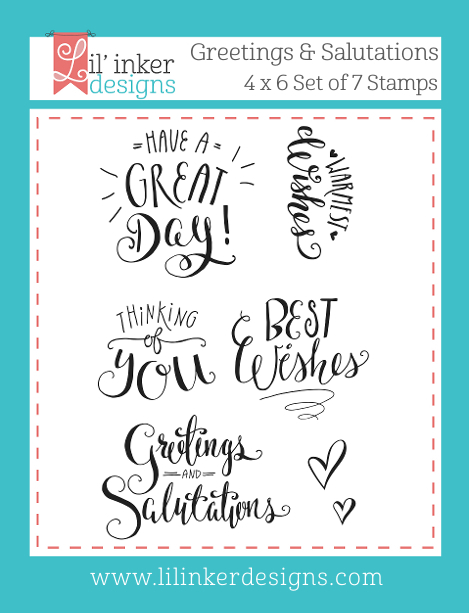 It's time for Day 2 of the new release at Lil' Inker Designs! So excited to share with you some of the many fun projects I have been working on with the new goodies - absolutely LOVE them!!! First up, I have this glitzy and glamorous gold and white card to share! I used Anytime Tag dies to die cut the front panel from vellum, then heat embossed my sentiment from Greetings and Salutations in gold on it. Does this sentiment make anyone else think of Charlotte's Web? 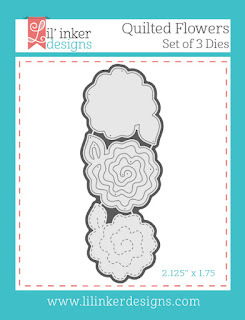 I also used the beautiful new Quilted Flower Dies - such an incredibly fun and versatile set of dies! 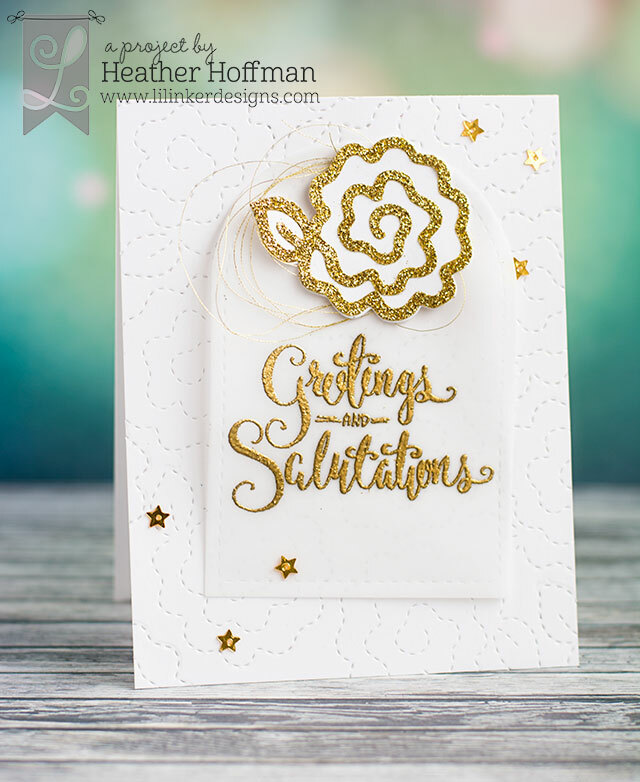 I used the stitched part to create the background on my card, then used the solid and outline to make the gold center flower. Added some gold thread and a few Pretty Pink Posh gold star sequins to finish off! 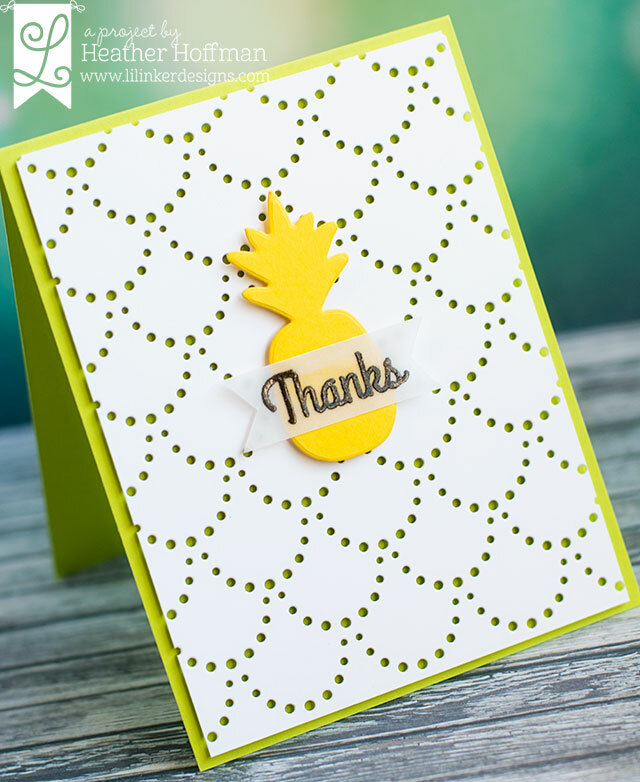 Next up - a clean and simple card using just the Pineapple Panache Die without the stamps - it is such a perfect focal point for this! I also used another beautiful Cover Up Die: Dotted Scallops. I love all of these! 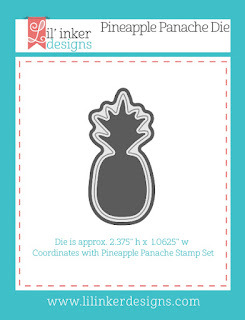 This one I thought paired great with the Pineapple - the texture just fit! 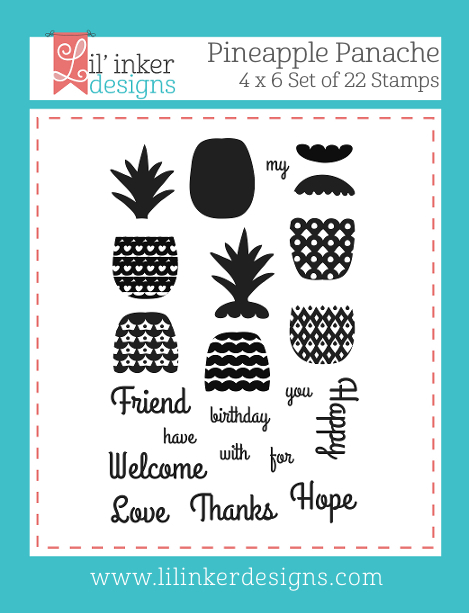 I also heat embossed a sentiment from Pineapple Panache Stamps on a tiny hand trimmed vellum banner to adhere over the top. And now the fun part! 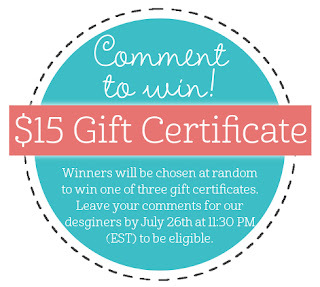 There is, of course, a chance to win some shopping money to spend on the new goodies! YAY! Here is the entire Blog Hop line-up - leave a comment for a chance to win one of three $15 gift certificates that Laura is giving away to celebrate the new release! LOVE BOTH of your cards Heather!!! 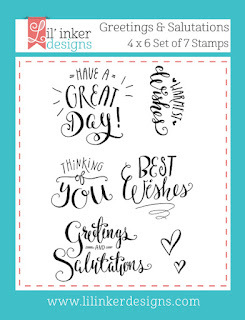 Your 1st card is GORGEOUS, LOVE how you created the background, ADORE the Quilted Flowers dies and Greetings & Salutations stamps - they are already on the TOP of my MUST-HAVE list!!! 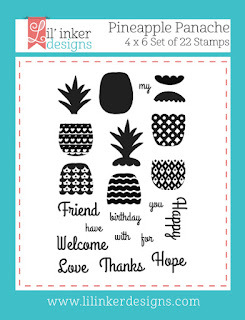 THANK YOU for sharing your CREATIVE INSPIRATION and CRAFTY TEMPTATION!!! Your first card is so pretty and elegant!. Love the backgrounds on both cards. All really nice cards! 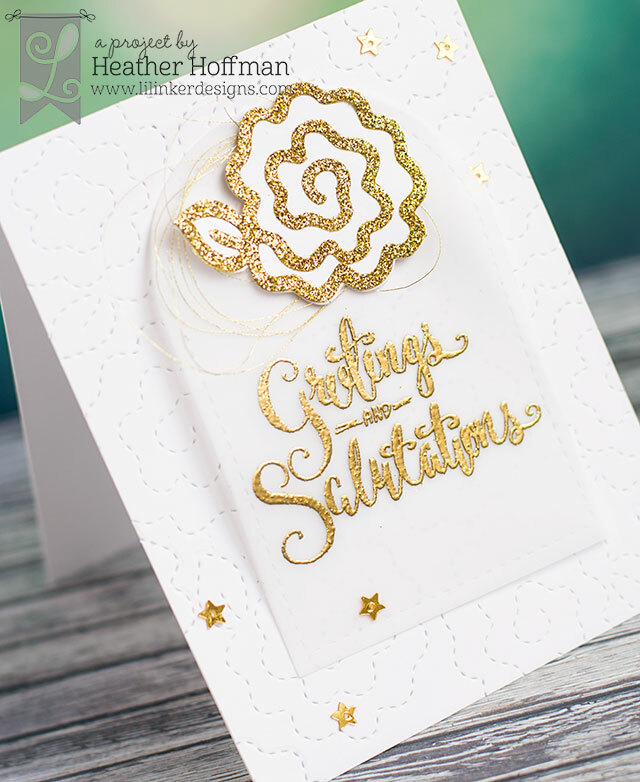 Love the gold embossing that makes the flower and saying stand out. And then the pineapple just is right out there! Two beautiful cards.... lovely combinations of color/texture! fabulous cards. My fave is the gold and white one. Beautiful cards today! I ove how that touch of gold really makes that fun flower look classy and elegant! Love all of the gold on the first card. would make a great 50th anniversary card too. The other card is plain and simple and so pretty. I'm loving that scalloped cover plate, but your flower cover is fab!! 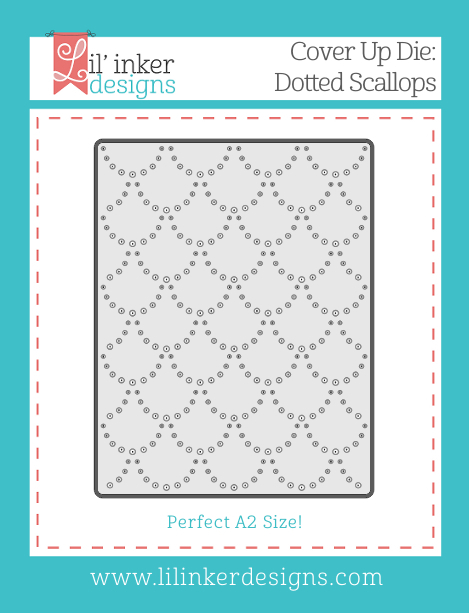 Love the scalloped cover plate!! Great cards. I am so in love with the quilted flowers!! of the die for the background. Awesome backgrounds for both cards! 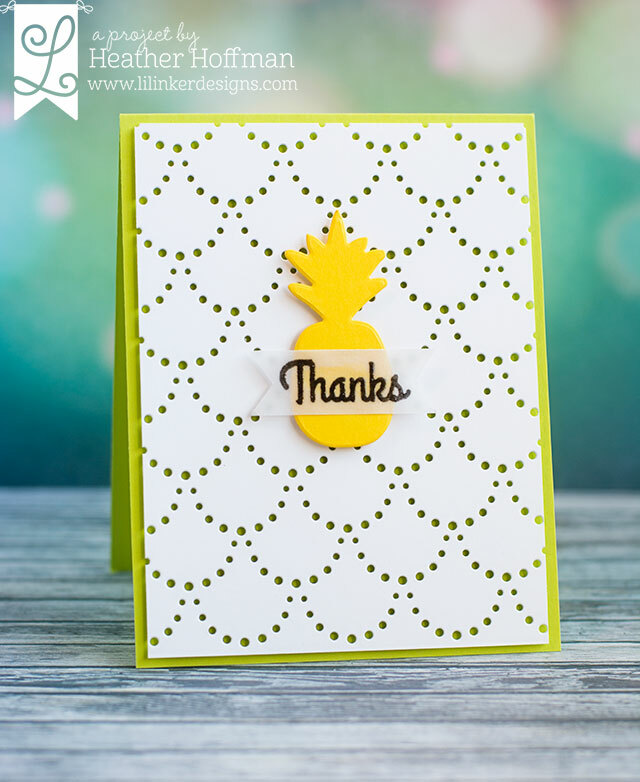 Love the gorgeous flower die in gold on your elegant 1st card, and the fun bright yellow pineapple on the 2nd card! Love the white and gold card. Would be perfect for a wedding or anniversary. Lovely with the gold embossing. Two amazing cards! Love them both! Gorgeous! That gold and white is stunning! Great cards...I esp. like the gold one with all the elegance. The gold and white card is very elegant. 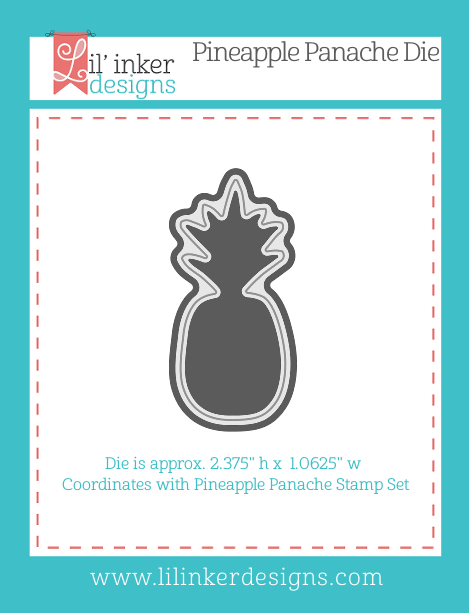 I really like the simplicity of the pineapple card. Well done! Beautiful cards! Love the quilted flowers! Love your pretty gold card. Your cards are so striking! I love the embossing and glitter! I love these CAS cards! The stitched/dotted backgrounds on both add so much texture to the cards. These are both total jaw-droppers! I just don't even know what to say. I'm stunned! !